This article is republished on my new PRIMARY blog — PrimarySinging.com! Head over there to see loads of resources and printables for Primary music leaders! Today, it’s all about the tips and tricks for singing time flip charts! But flip charts make sense. It can be an easy way to introduce a new song for the opening and closing song in Primary and perfect for refreshing a song you’ve learned in the past. 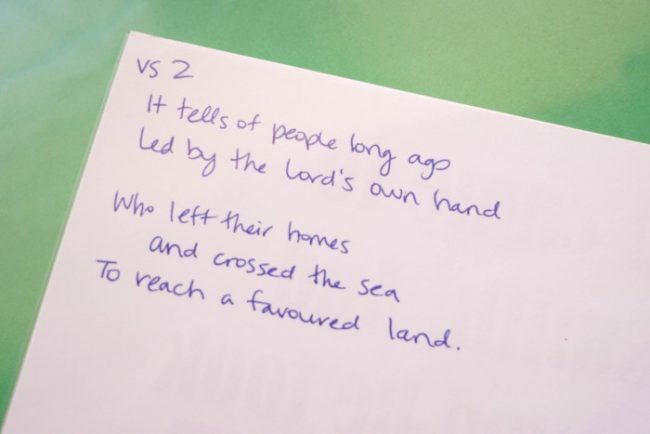 I don’t fall into the camp that once I’ve taught the song that the kids should have the words committed to memory for life – heck, I still need a reminder of the words sometimes! Plus, these easy to use flip charts fit right inside my singing time binder!! Heavyweight Sheet Protectors – Don’t skimp on sheet protectors, you’ll use them for everything and the heavyweight option is definitely the way to go. They won’t flop or bend over while you’re holding them and won’t crease easily. Start with at least a 200 pack, like these ones on Amazon. Or go big with a 500-pack of sheet protectors (it’s cheaper than 2 boxes of 400!) and you’ll be set for good! 3-ring Binder – 1″ or 1.5″ 3-ring binder works great for holding all your singing time music that you’ll use for the month. I have a 1.5″ binder and there is room to spare. I also keep a 3″ binder to store all the songs I’ve printed up and for flip charts I’ve previously used but don’t need for that month’s primary song list. My favorite is the “Better Binder” as they are so durable, but any would do. Instant Ink – A lifesaver for me has been my HP connected printer with Instant Ink subscription. I usually pay $4.99/month and with that I get 100 prints included. Whenever my ink runs out, Instant Ink mails me replacement ink cartridges. I print everything in full color and use a ton of ink each month, without worries as my print cost is so low! Sometimes, especially the first month or two of the year while I’m preparing for the new song list, I’ll up my plan to the $9.99/month plan that gives me 300 prints. It’s totally worth it for the freedom of printing what I want when I want to and never worrying about running out of ink! Sign up to get 1 free month of Instant Ink! Use Split Rings! – I didn’t want to hassle with multiple pieces of paper or being tied to the podium. I wanted to be able to hold the words, move about the front, still be able to lead and make hand motions / signals, all while using a flip chart for those times when they’re needed. Split rings was the game changer that let me have an individual “book” that flips around the rings during the song so I could move about the room while just showing a single page at a time, and easily hold the flip chart without losing the order or pacing of the song. 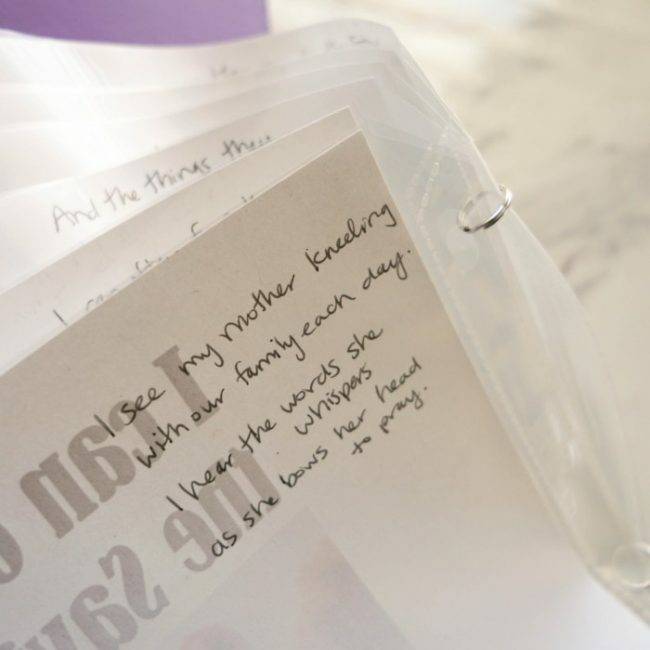 Write Words on the Back – A great trick you can, and absolutely should, use is writing the lyrics on the back of the flip chart printed pages. I’ll arrange all the pages into the sheet protectors, then write the lyrics from the front page onto the back page – the one that will be facing me while I’m holding the flip chart. This allows me to follow along, know when to flip the chart, and have a helpful reminder of the words easy to see! Sneaky, sneaky! Keep them in your Singing Time Binder – At the end of each month, I update my singing time binder to hold all the songs for the upcoming month. 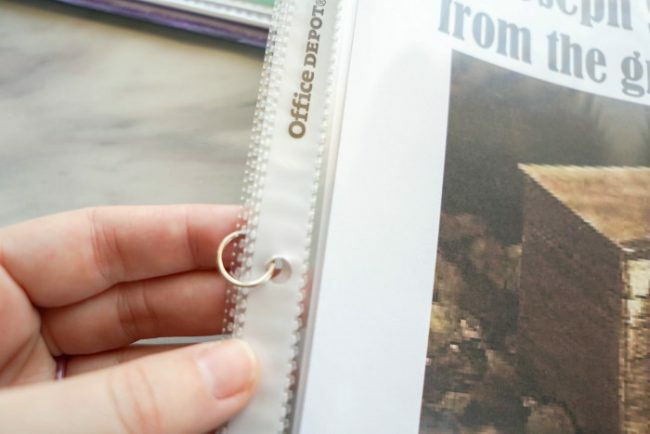 I’ve shared a whole post about how I set up my Singing Time binder, including lots of printables I stuff inside so be sure to pop over to that post next. I’ll also prepare any flip charts that I’ll want to use for the month. Often, this means pulling out the papers from previous flip charts to make room for the new monthly songs to take their place. I keep songs I plan to use again that year in their setup, but switch out others that I won’t be using again that year to reuse the same rings. What works best for me is using the same opening, closing, welcome, and birthday songs for the entire month. See my Singing Time Song List post for more information and my printable list! I’ll even stick to the same 3 songs we’ll practice throughout the month. My flip chats are stored right in my singing time binder directly behind the printed music. This makes it a cinch to find and access during singing time. I’ll simply open the binder rings, pull out the flip chart, and we’ll get right to singing! Condense (More lyrics per page) – One of my pet peeves with flip charts is too few of words per page. I prefer a verse to have no more than 4 pages, where possible. Some songs are too long to fit this limitation, but most work great with a smaller main picture and 2 phrases per page. 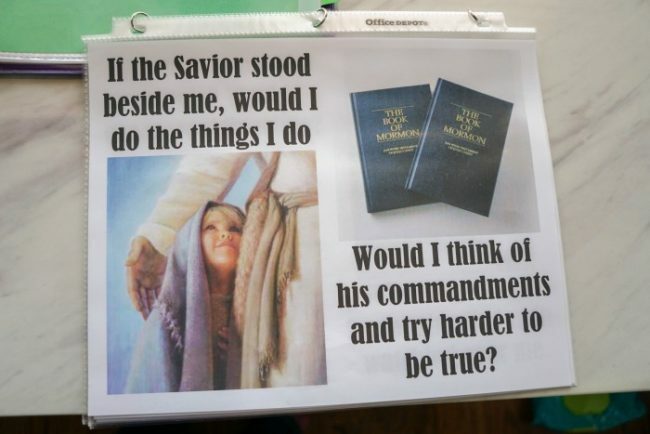 For example, in the song “If the Savior Stood Beside Me,” I created a flip chart that fit two phrases on a single page. This turns the first verse into just 2 pages, rather than 4-6! That means a lot less fumbling with flipping the pages! It really makes it much easier to lead with less page turns. 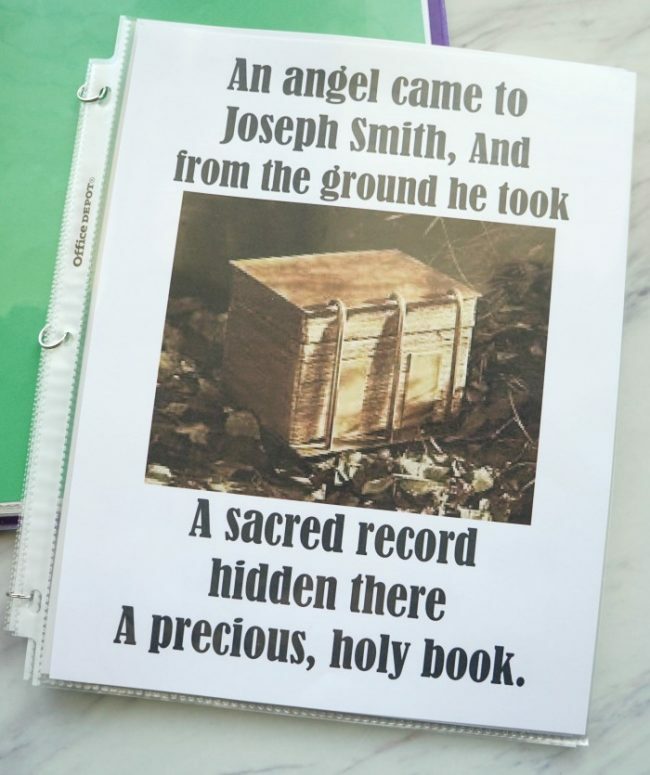 In another example, the song “An Angel Came to Joseph Smith,” I put the entire 1st verse lyrics on a single page! 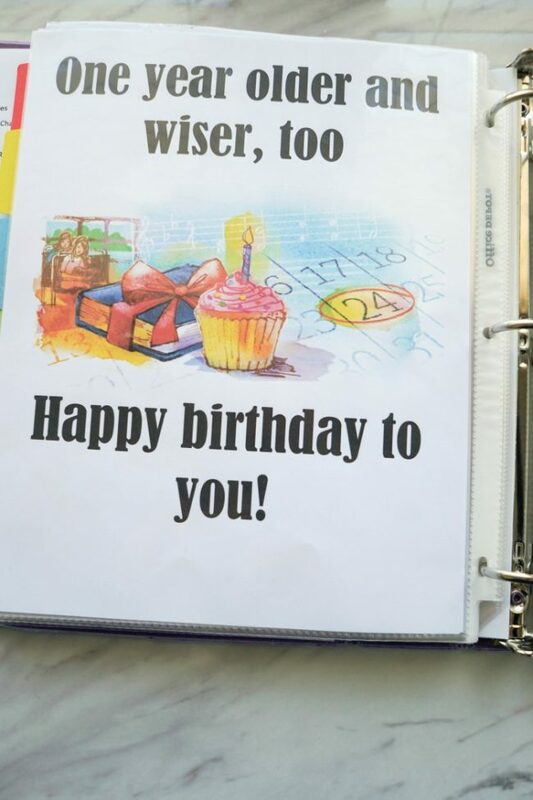 Most welcome and birthday songs can fit across 2 pages making it easy to simply flip the chart from the front to the back (no split rings necessary)! I have shared the flip charts I have created. I always aim to use as few pages as possible – saving me paper, ink, and struggle while leading! 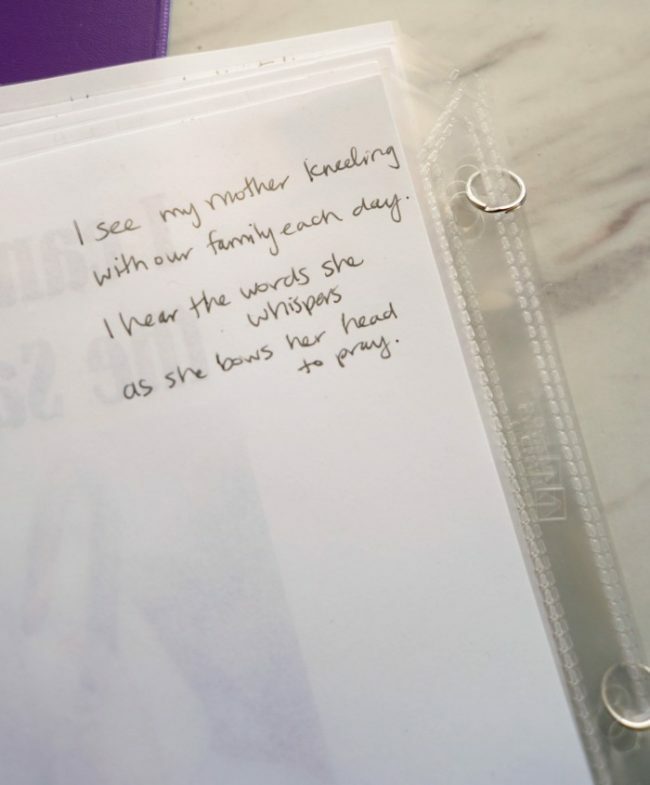 Lyrics Book – One last trick you can use, I got this idea from Camille’s Primary Ideas, is to print out the entire verse (no pictures) as a reference point for practices or for use in the Primary program! I found it clunky to use during everyday weeks as I was trying to balance a lyrics book with my singing time binder and any props for the week and it was just too much. You can grab the Primary Program flip chart version under each of the flip charts, too! I do use the lyrics book for those review weeks leading up to the Primary Program. I used the lyrics book on my music stand while conducting the program – no other big posters or props were needed! Worked great and helpful for those kids that still needed the words. I simply lined all the songs up in the order in which they would be sung with a second copy facing me so I could easily follow along, get my own words reminders where needed, and flip through the entire program with ease. I use flip charts every week during singing time. I’ll use them for the opening and/or closing song, sometimes for the welcome and birthday songs if they aren’t as familiar to the kids, and even for some of the wiggle songs. 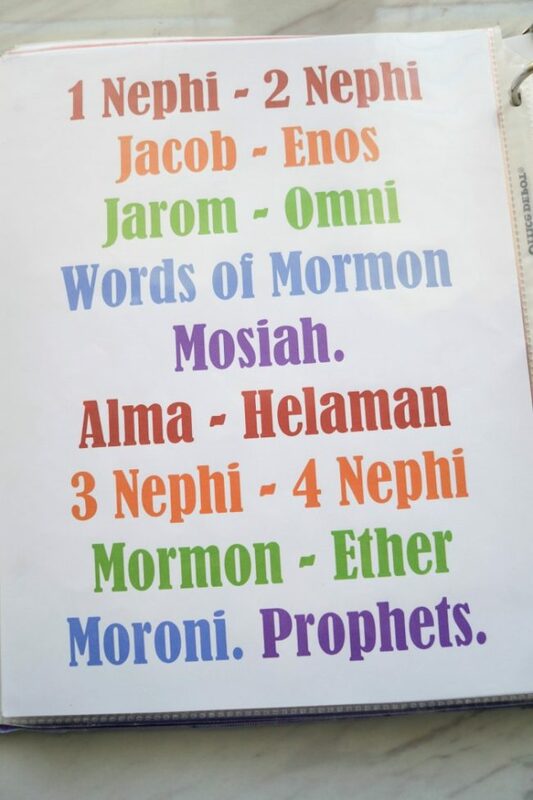 For example, I have a simple flip chart for the Books of the Book of Mormon and I use the words to the articles of faith when we sing those songs. I’ll also use my Singing Time flip charts for the year’s program songs. Sometimes I’ll introduce the song the first time with the flip charts, other times I won’t use them until we’re simply reviewing the song. I love using flip charts while we’re doing a silent movie of the song or listening to a special arrangement of the song. By presenting the words I’ve found that the kids sing more confidently and the teachers help by singing along as well. I don’t use flip charts for every song and every lesson, though. Usually, when we’re learning the words for the first time or doing an activity such as instruments or a body rhythm pattern we won’t use the flip charts as all. But having them ready and available has been priceless! Start by creating and printing flip charts for the songs you’ll be learning throughout the month or year. There are lots of great resources for free flip charts that are already made (and I linked to my favorite source above — a site that let’s me edit the charts to make them more words per page). When you have your flip charts printed and ready, slip all the song pages into sheet protectors. Line them up in order following the song. Then, you’ll slightly pry open the split ring, being careful not to permanently bend open the ring. You just want it open up enough that you can slip the sheet protector hole punch spots through the ring. 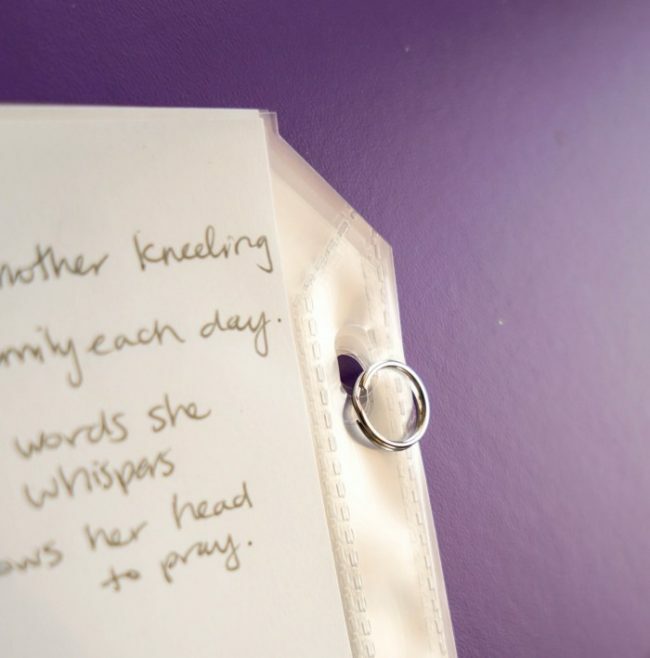 Once you have a few pages slipped into the opening of the ring, you can easily twist the split ring around and around until all the sheet protectors pop through on the other end of the ring’s opening and they’ll now be securely held together – connected by the split ring! 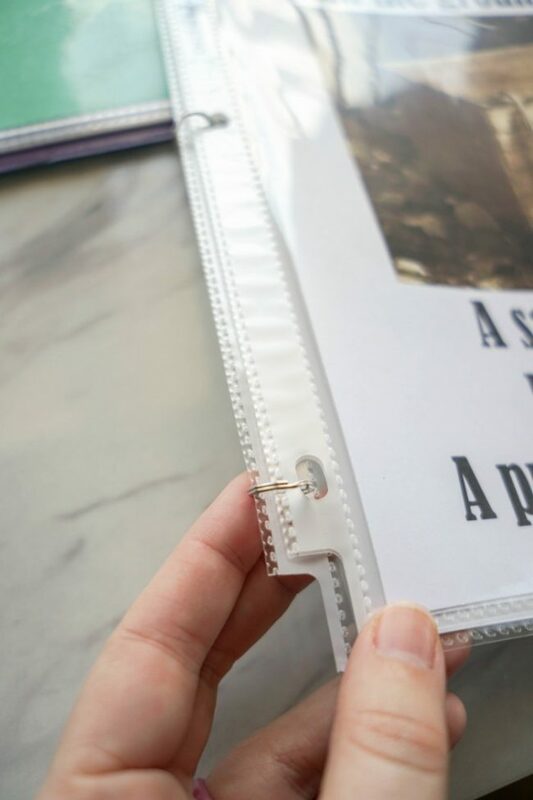 This is just like putting keys onto a key ring – only these are much smaller rings so that they fit into your binder nicely without taking up extra room. They’re also more likely to be bent open, which can cause the sheet protectors to get snagged when you’re flipping. Be careful to only pull open the ring just a little, don’t bend/pry it open. That’s all there is to it! 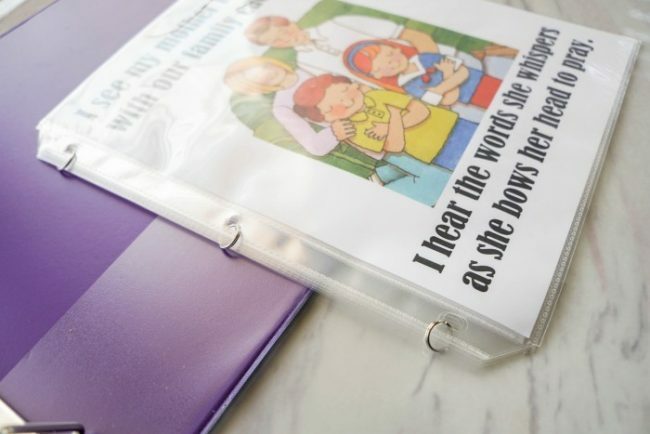 Repeat to add one split ring to each of the 3 hole punches along the edge of your sheet protectors and you’ll be able to simply, and easily, flip through your singing time flip charts all while dancing and moving about the room! 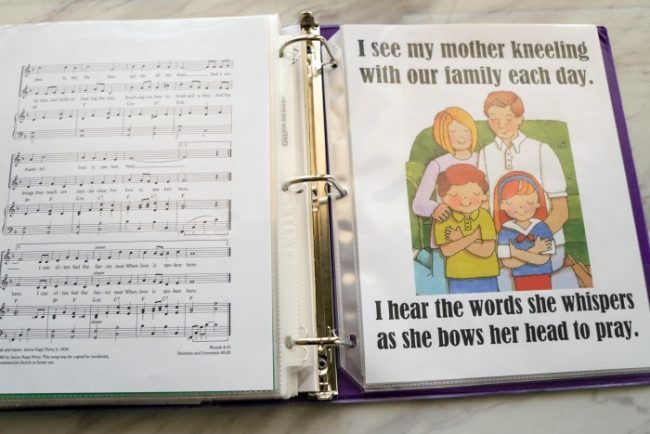 See all our posts categorized under LDS for more helpful resources for Primary music leaders, including how I get organized for primary with my singing time binder and what works best for me for nursery singing time! Singing Time Binder Organization & Lots of printables!! I’ve always wondered about all the littles in junior primary that don’t know how to read. How do you work around that? Any ideas? I still use the flip charts because some of the CTR 6 class and all of the CTR 7 class can read the words. Plus, when the teachers have the words they help and sing! The younger kids are going to learn by pure repetition or little memory tricks like an action they associate with the upcoming words. I never thought about making charts like this, but it sounds like a great idea. I can’t wait to try it out!